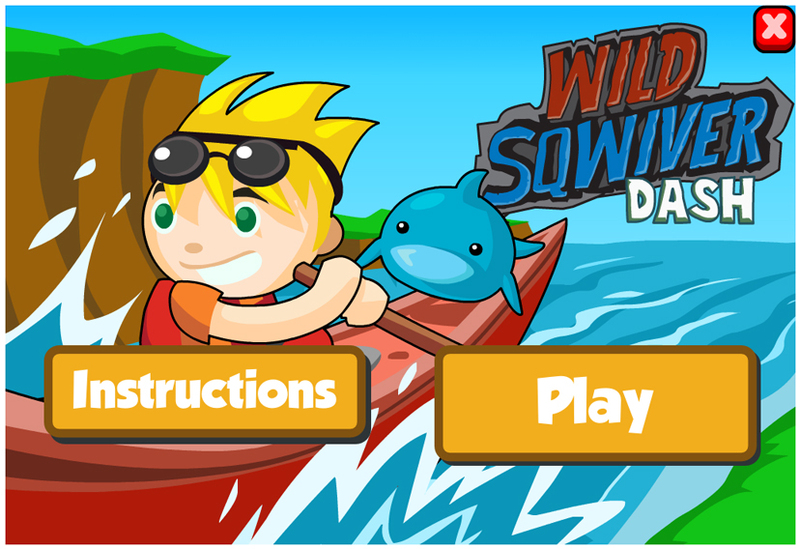 See how long you can last on the Wild Sqwiver by avoiding all the rocks, Sqwabbles, and other obstacles along the way! Use the left and right arrow keys, click, or tap on the left or right side of the screen to row your canoe in that direction. Collect the bonuses and power-ups along the way to earn more points! Be careful not to bump into any obstacles, or run into the shoreline!